New CS Players Are all 12? This is probably the wrong place for this thread; sorry. I could be wrong, but it seems to me that most new players of Cave Story, at least those who join the CSTSF, are around the age of 12 (when they join). Has anyone else noticed this? Am I wrong and I'm only noticing the 12-year-olds? Even if I am right, I don't have any idea why all the new players are 12. Do you guys have any thoughts on the matter? I guess that the reason why there’s so much 12 is probably because of the indie/8 bit style games that became a genre that kids really come to like(for some reason). I don't think making a thread like this will leave the best impression to most, but a discussion like this is a discussion worth having. My best guess is that the Switch release was what caught the attention of so many younger individuals, as their parents probably bought it for them because they didn't entirely know what their child liked. 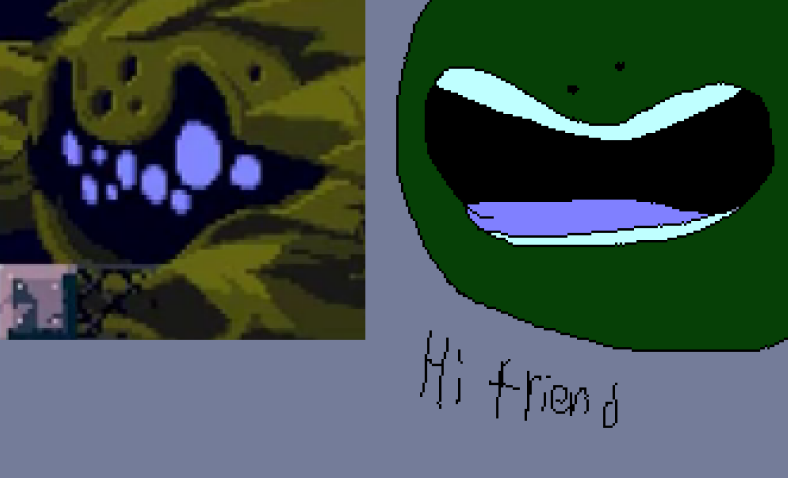 I myself found Cave Story when I was like... 10? 11?... NICALiS has a much larger reach than most people are willing to admit, and, for this game's sake, it's a good thing. The fact that the community of this game has lasted for so long is impressive, with people of all different generations coming together to discuss this game and other works by Pixel. In its current state, the influx of people has led to an increase in motivation to innovate. Stuff like CSE and Clownacy's mod loader probably wouldn't have happened nearly as fast if at all if it weren't for people becoming interested in what should be a dead game. As much as alot of people (myself included) abhor the behavior of some newer members, I feel it is necessary for the community in some regards, Cave Story isn't really aimed towards an older audience, it's aimed towards a much younger one, and NICALiS is driving that in with the rather questionable crossover content. The most important thing to keep in mind is that if you're under like... 13... you're not allowed to use discord. I myself want to stress that to the moderators of the servers for the sake of not getting them shut down. 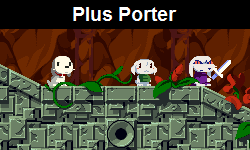 Cave Story isn't really aimed towards an older audience, it's aimed towards a much younger one, and NICALiS is driving that in with the rather questionable crossover content. Crossover content? Was there something I missed? It's been a while since you've been in these forums, Blade Stranger. But it's not something to have a Crystal Crisis over, it's really nothing new. Tyrone's gone into a habit of slapping Quote and Isaac onto everything, and I myself am not sure if it's a good idea. But atleast it's some sort of attention and "Development" being made on Cave Story. That seems kind of strange. 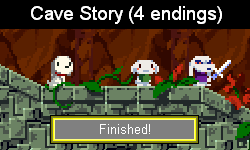 But I guess if it’s getting new players into Cave Story, I can’t complain. I know I would never have found it if it hadn’t been mentioned in some obscure flash game I played once as a small child. That being said, is there a reason only 12-year-olds seem to be checking this game out? Are the games Quote appears in also geared towards children? I feel like he could do decently in a crossover with IPs not exclusive to children. That being said, is there a reason only 12-year-olds seem to be checking this game out? Regardless of Nicalis being liked or not, they did manage to spread awareness over it starting with the Wii port 9 years ago. And it's been continuing to spread with 3 ports (4 if you include Cave Story 3D) being commercially available on popular platforms like Steam, 3DS, and Switch. And with modding on the original, freeware port somehow being able to withstand the test of time, of course there will be a rise in young people here. Give or take a few years, and they'll pretty much be in the same spot as us right now. Pretty cool that CS was used in a network TV show. Maybe it's just that the game is free lol. Most people don't seem to care. I remember about this time 7 years ago, we had a big influx of 12-year-olds, and there was a huge cultural clash between the users who were 19+ at the time and those who were 13 and younger. I'm happy to say things aren't anywhere near that bad anymore, and now days we only get the occasional immature 12-year-old who poses a problem, and most users here 19+ years old respond to them much more gracefully. I was like 9 or 10 when I first played the Wii demo, but I wasn't on the internet then. I didn't actually full play through and BEAT the freeware version till I was about 14, and joined this forum a year later. I guess kids just like platformers. CS being free is certainly a major factor of why I got back into it. I was bored and googled it, and it felt like "oh wow, that one game I played as a little kid is freely available guess I gotta check it out"